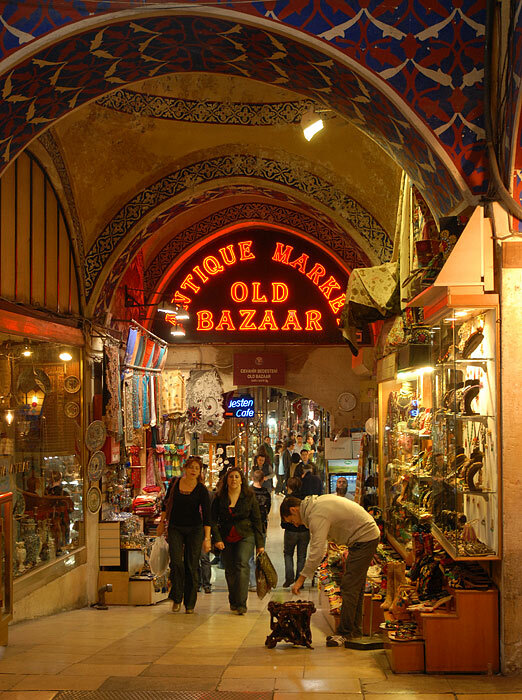 The Grand Bazaar (Covered Bazaar) is one of the oldest and the largest covered market place in the world. 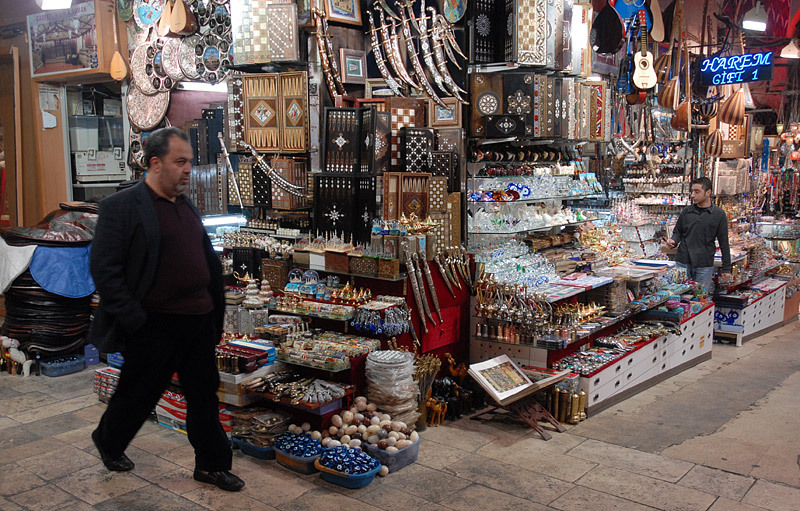 It consist of approximately sixty lanes and more than three thousands shops. At the first sight it may look like a labyrinth, but it's not that complicated, just keep your eyes on the main street. 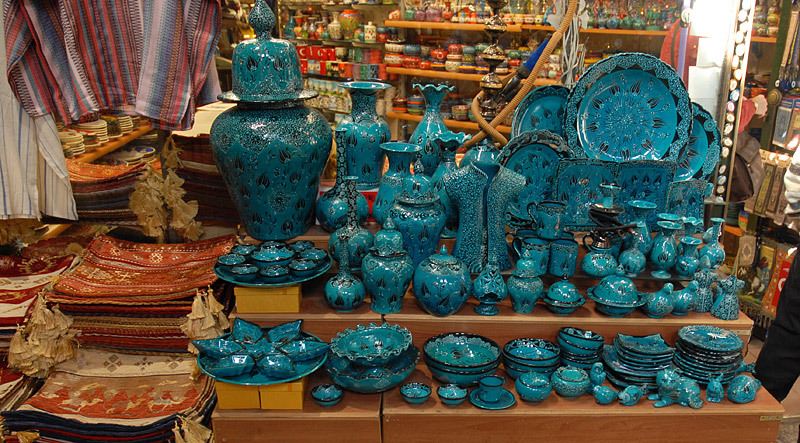 This unique and interesting market place is one of those places in the city which one must see to really appreciate. 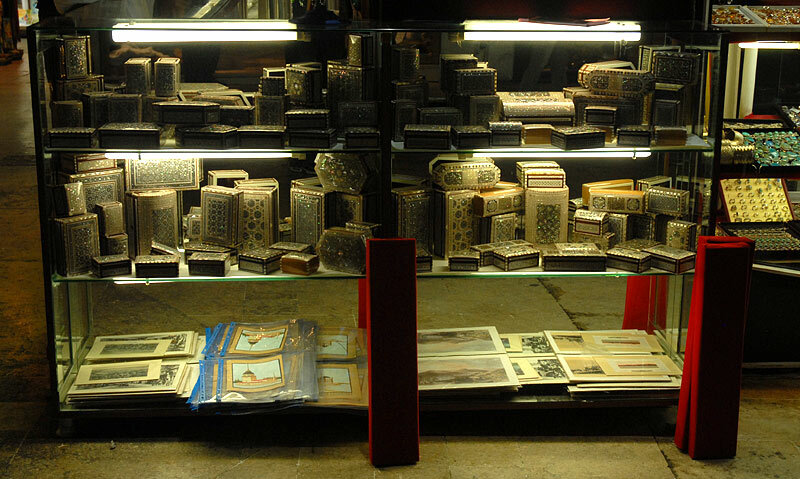 It's something like heaven for shoppers. 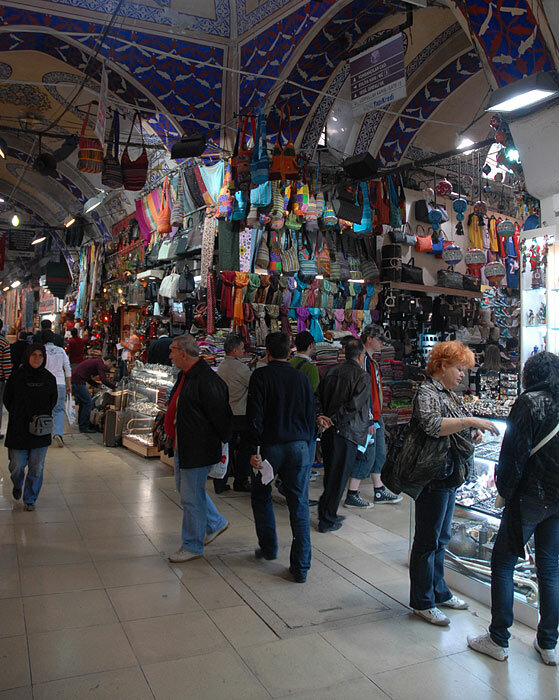 There are thousands of things you can find in the Grand Covered Bazaar Istanbul, from gold to fake brand T-shirts. 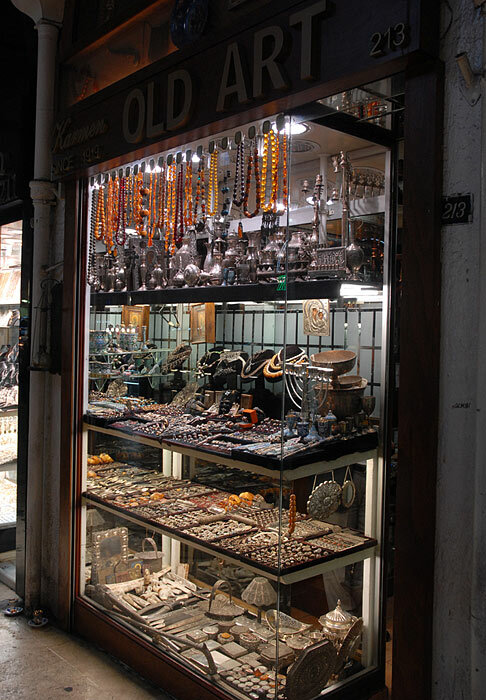 Jewelers line the main street in the bazaar. 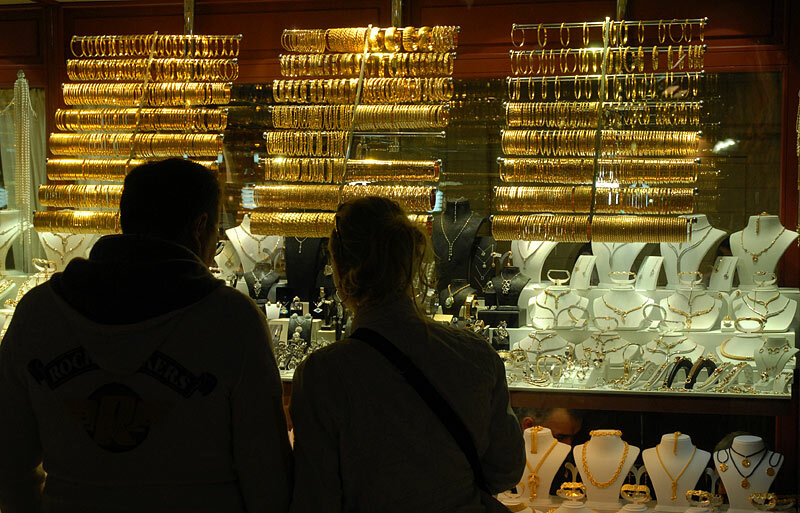 The goldsmiths are on a side street at right angles to the main street. 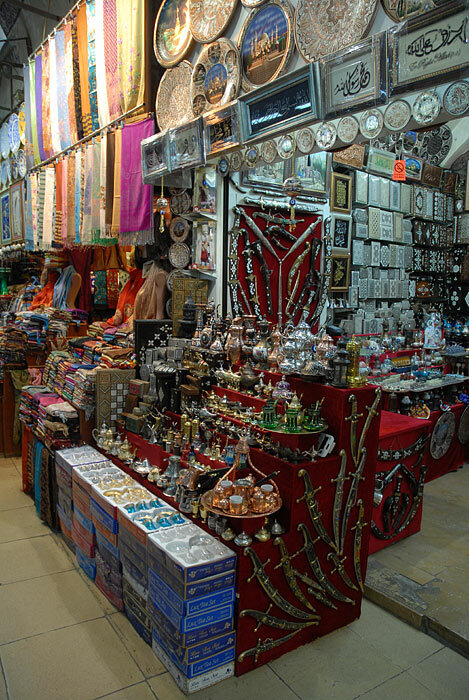 Prices vary and you should know that bargaining is a must, it is customary in these rather small stores. 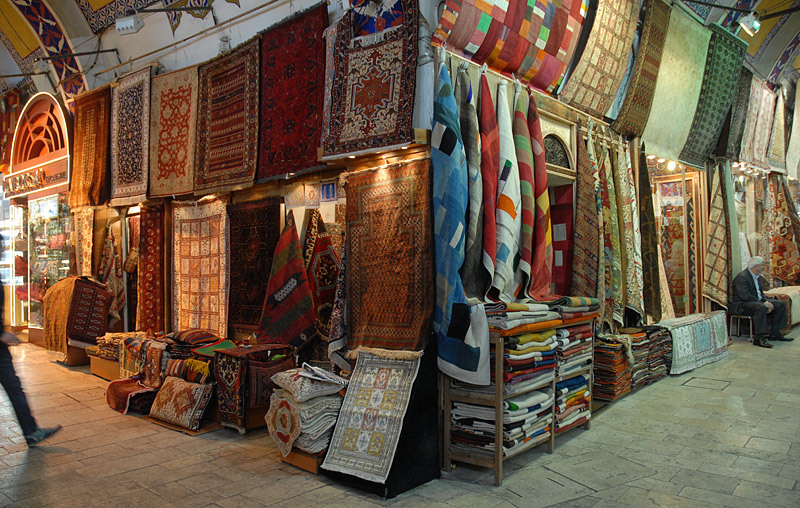 For the best price, it's recommended to ask on more than 2-3 places. 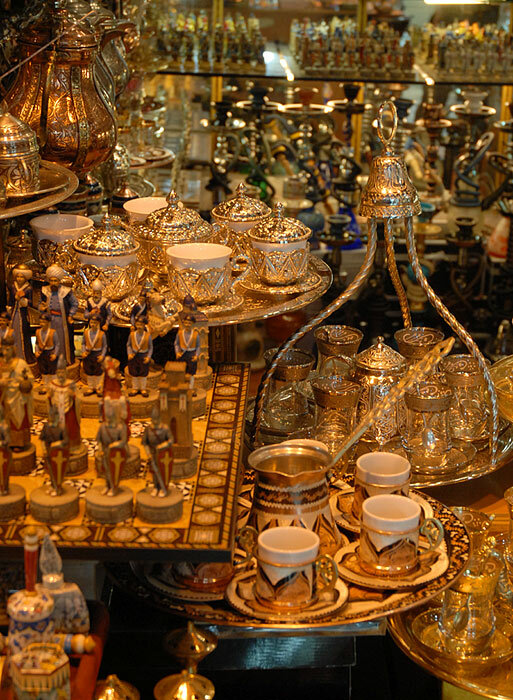 Sellers might approach you and insist for you to see their collection but if you don't care about them, they will go away. 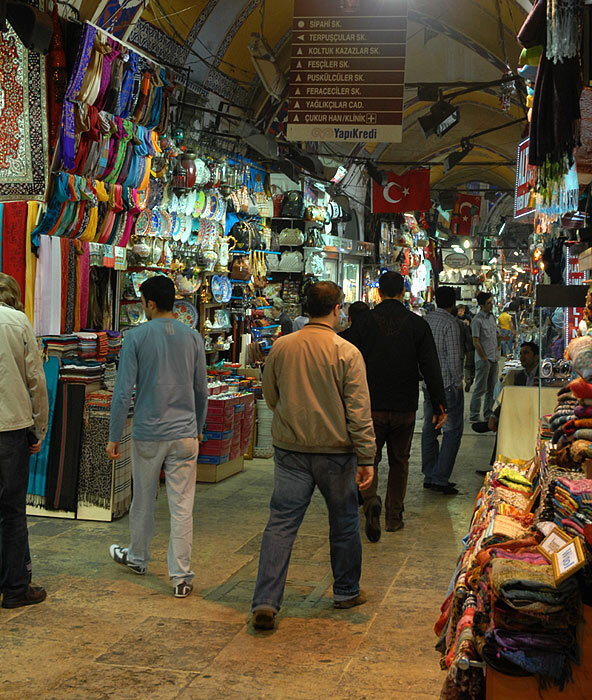 The bazaar is quite crowded at any hour of the day, and the shop owners try their best to attract the attention of shoppers and lure them into their shops. 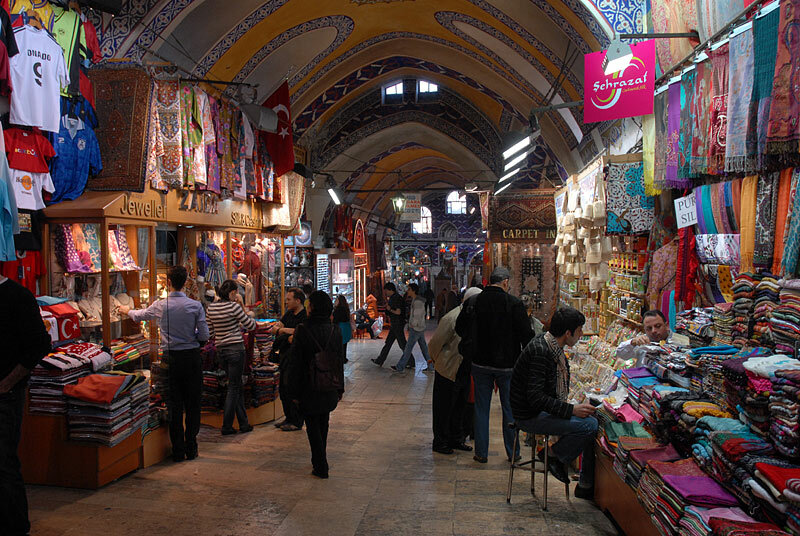 Map of grand bazaar Istanbul : it is situated in Kapali Carsi, in the centre of the city, near to Beyazit square, on the route of Tram line. I will surely pay it a visit one day! Inumerous gold and silver shops! 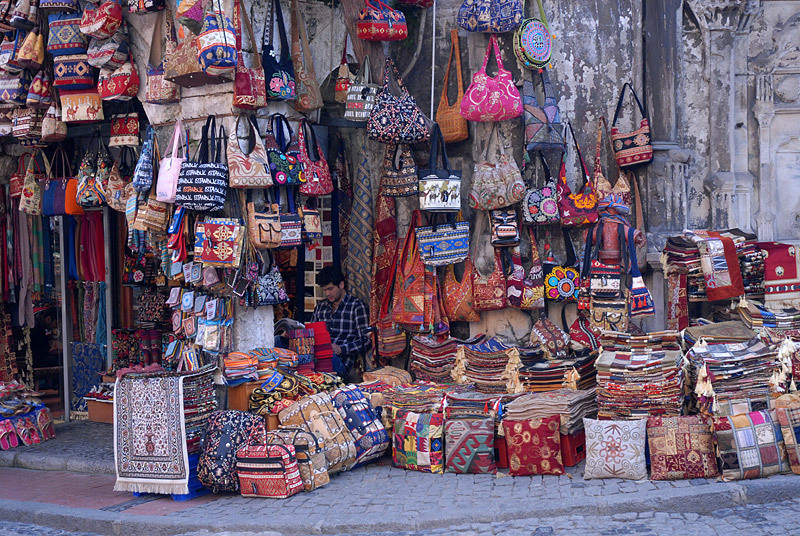 And endless and colourful clothes, souvenir, carpet and spice markets! Exquisite! 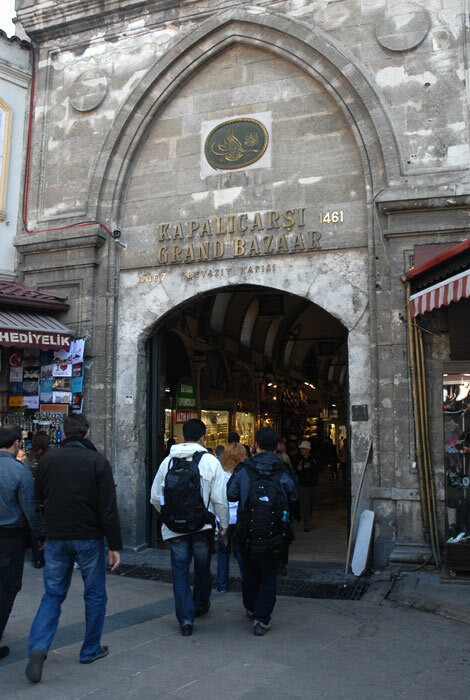 It has four main gates situated at the ends of its two major streets which intersect near the southwestern corner of the bazaar. 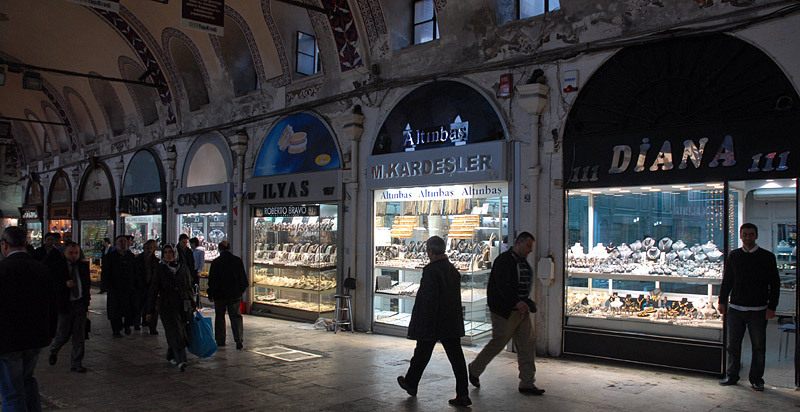 One street combines the Bayezid II Mosque and Bayezid Square with the Nuruosmaniye Mosque.